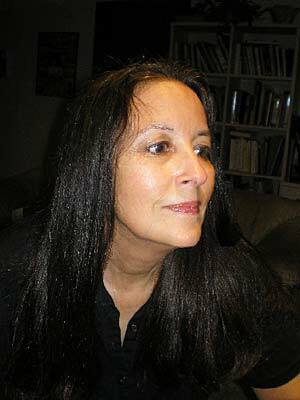 Anita Endrezze is a poet, writer, and artist. She is half-Yaqui Indian and half European (Slovian, German-Romanian, and northern Italian). Her work has been published in 10 countries and translated into 7 languages. She has been a speaker for the Washington State Council for the Humanities Speaker's Series. She also teaches part-time university courses in addition to traveling to other states and countries to lecture. She's married, with two children, one still living at home, the other out on his own . Her latest book, Throwing Fire at the Sun, Water at the Moon , is a "blend of ancient myths, poetry, journal extracts, short stories, and essays that tell her people's story" (University of Arizona Press catalogue) from creation to the present. 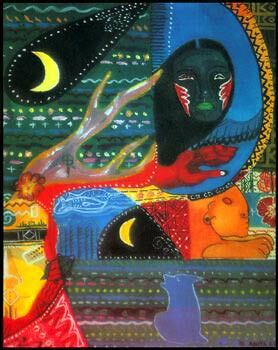 "Greater than the sum of its parts, Endrezze's work is a new kind of family history that features a startling use of language to invoke a people and their past - a time capsule with a female soul"
The book is illustrated by her paintings. For more information, see the University of Arizona Press website. A book of Anita's poems, at the helm of twilight , won the l992 Bumbershoot/Weyerhaeuser Award and the Governor's Writing Award for Washington State. She also received a grant from Artist Trust to aid her in researching Throwing Fire at the Sun, Water at the Moon . Lune D'Ambre , a book of her poems translated into French, and published in France by the distinguished house, Rogerie, and a book, The Humming of Stars and Bees and Waves published in England by Making Waves Press joins her international publications, along with a children's novel, The Mountain and the Guardian Spirit , (CDForlag) in Danish. Her paintings have been exhibited in Wales, England, Sweden, Denmark, and the United States. Several of her paintings appear on anthology book covers as well as on her own books. 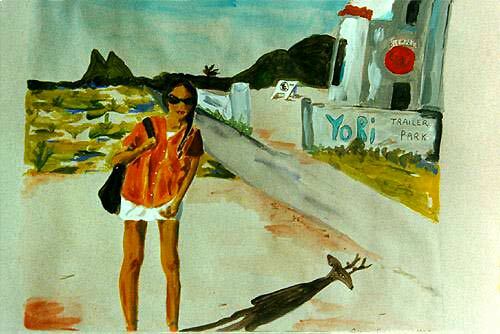 Prints of several of Anita's paintings are now available for purchase through this website. Images from Anita's Book of Time project are available. A gallery of Anita's new paintings is now available. Anita's book At the Helm of Twilight was the winner of the Washington Governor's Writers Award and the 1992 Bumbershoot/Weyerhaeuser Publication Award. Signed copies of this prize winning book can be purchased though Paypal. Vasco Nunez de Balboa's "Little Lion"
Throwing Fire at the Sun, Water at the Moon , (Sun Tracks, V. 40), University of Arizona Press. The Humming of Stars and Bees and Waves , Making Waves Press. at the helm of twilight , Broken Moon Press. Signed copies of this prize winning book can be purchased directly using PayPal. Burning the Fields , a Confluence Chapbook, Confluence Press, Lewis and Clark State College. The North People , The Blue Cloud Quarterly Press. Linda Hogan & Brenda Peterson (Editors), North Point Pr. Susan A. C. Rosen (editor), University of Virginia Press. Witches' Brew , Yvonne Jocks (Editor), Berkley Pub Group. The Body Eclectic: An Anthology of Poems , Patrice Vecchione (Editor), Henry Holt. Aliki Barnstone (Editor), Shambala Pub. Jim Elledge & Susan Swartwout (Editors), Indiana University Press. Cary Nelson (Editor), Oxford University Press. Linda Hogan, Brenda Peterson (Editors), North Point Press. Scott McCarthy (Editor), Blue Dolphin Books. Holes, with Connections , HRW Library. Kenneth Lincoln , Univ. Calif. Press. (Edited by Joy Harjo and Gloria Bird), W.W. Norton. by Clifford E. Trafzer (Editor), Anchor. Northwest Native American Writing (Sun Tracks, Vol 19), by Andrea Lerner (Editor), Univ of Arizona Press. Amber Coverdale Sumrall & Patrice Vecchione, Plume/Penguin Books. Connie Fife (Editor), Sister Vision Press. Lily Pond & Richard Russo (Editors), Crown Pub. Leslea Newman (Editor) , Crossing Pr. Rich Ives (Editor), Owl Creek Press. New and Old Voices of Wah'Kon-Tah : Contemporary Native American Poetry , Intl Pub Co. Approaching Literature in the 21st Century , Peter Schakel & Jack Ridl (Editors), Bedford/St. Martins Press. Three Genres: The Writing of Poetry, Fiction, and Drama , Stephen Minot, Prentice Hall. Approaching Poetry: Perspectives and Responses , Peter Schakel and Jack Ridl, St. Martin's Press. Western Wind : An Introduction to Poetry , by John Frederick Nims, McGraw Hill Text. Elements of Literature , by Robert Anderson, Holt Rinehart & Winston. Lune d'Ambre , (Rougerie, 1993) poems in French. A children's book in Danish. Poesi Presente Anthology , France, 2001. 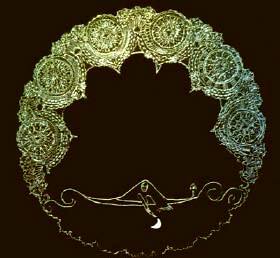 Stories and Poetry from the Blue Cloud , (in Greek), 1999. An anthology published in Italy in both English and Italian. An anthology published in German. An anthology published in Italian. This is an "official" site in that this page was constructed with the assistance and active collaboration of the poet, Anita Endrezze. The website "author" is Karen M. Strom. © 1997 - Anita Endrezze and Karen Strom.